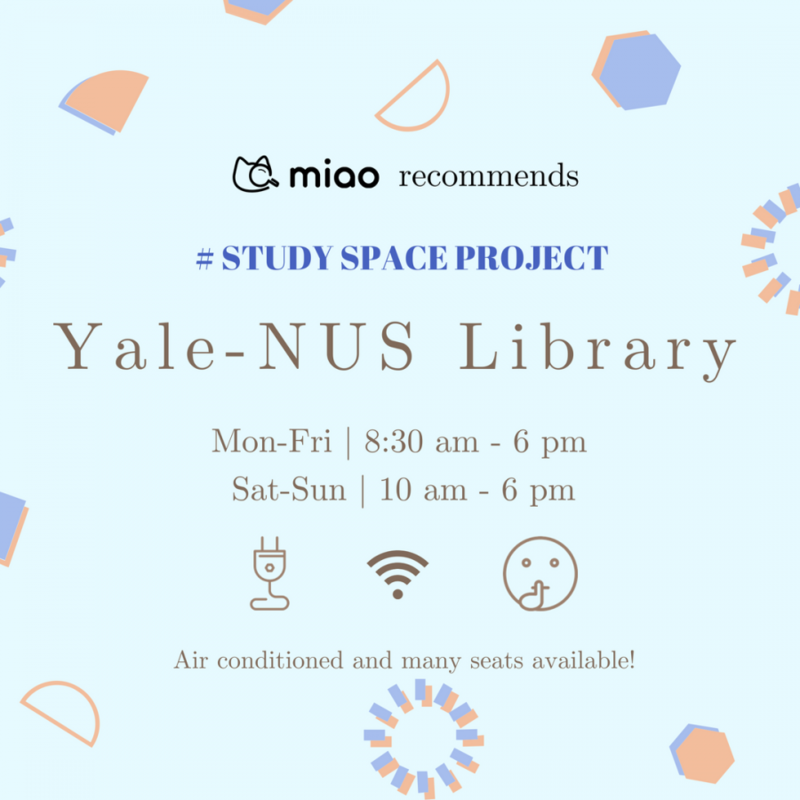 Even if you are not an NUS student, you should check out the Yale-NUS library. 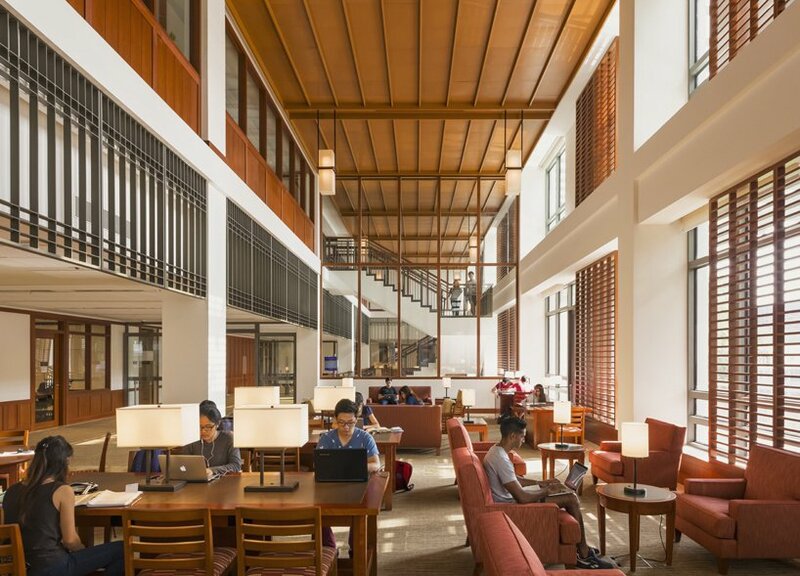 Believe it or not, this stunning library with its wooden panelling and lux interior is free to the public! 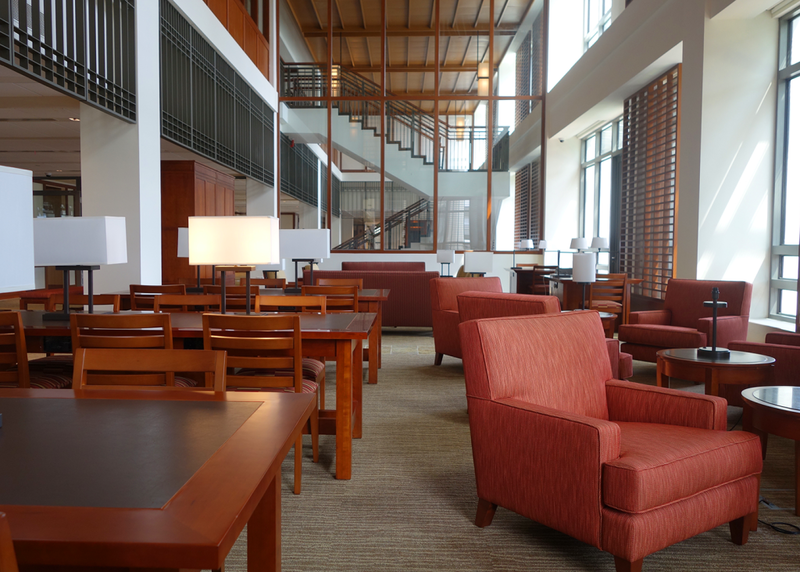 Not only can you access its vast library collection, but also it’s designated Study Space during opening hours. You can even use the meeting room to study with your friends. Each desk comes with a few electric outlets – perfect if you plan to use your laptop for hours on end. Note: Access to library will be restricted to Yale-NUS students from 6pm to 10pm. 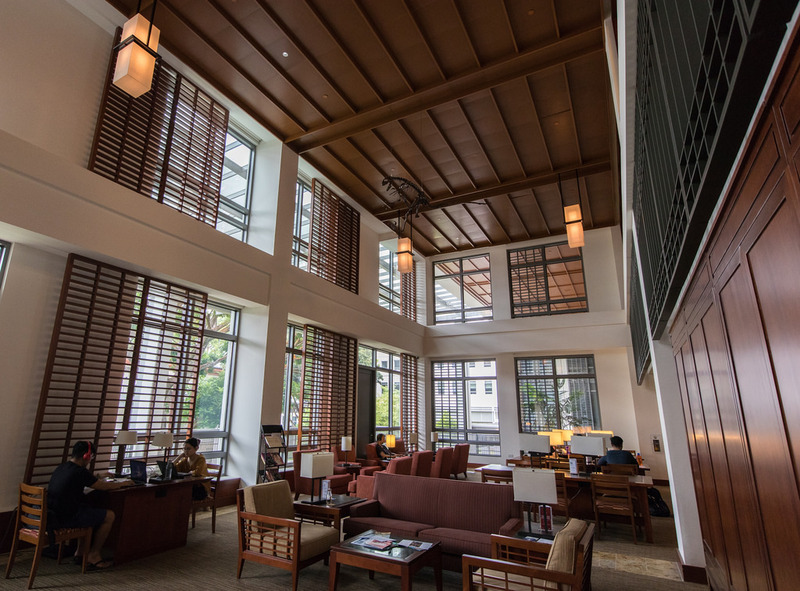 The 24hr study area and group study rooms are reserved for Yale-NUS students. 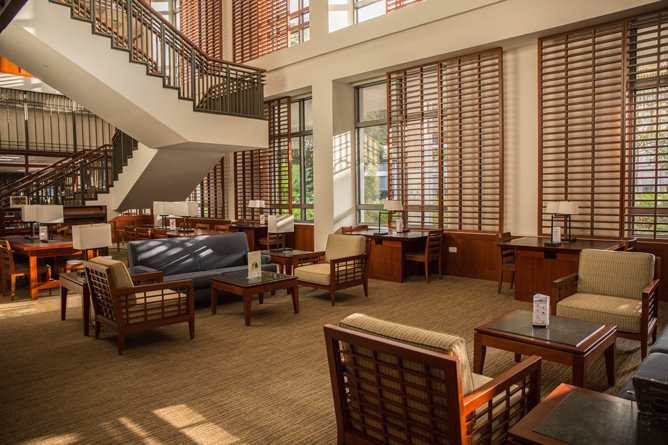 Use of computers, printers and copiers are also restricted solely for Yale-NUS students.